Under these settings, you can change the store title and logo, adjust SEO content, as well as manage your social media buttons and modify the text that appears on each page. Below the instructions, you will find two sets of screenshots; one shows Commerce settings and the other shows where on the Online Store you will find the corresponding item. Store Title - This title will show at the bottom of your store or as plain text instead of a logo if you choose not to upload one. Store Logo – Upload a picture of your logo. This will display in the upper right corner of your store. 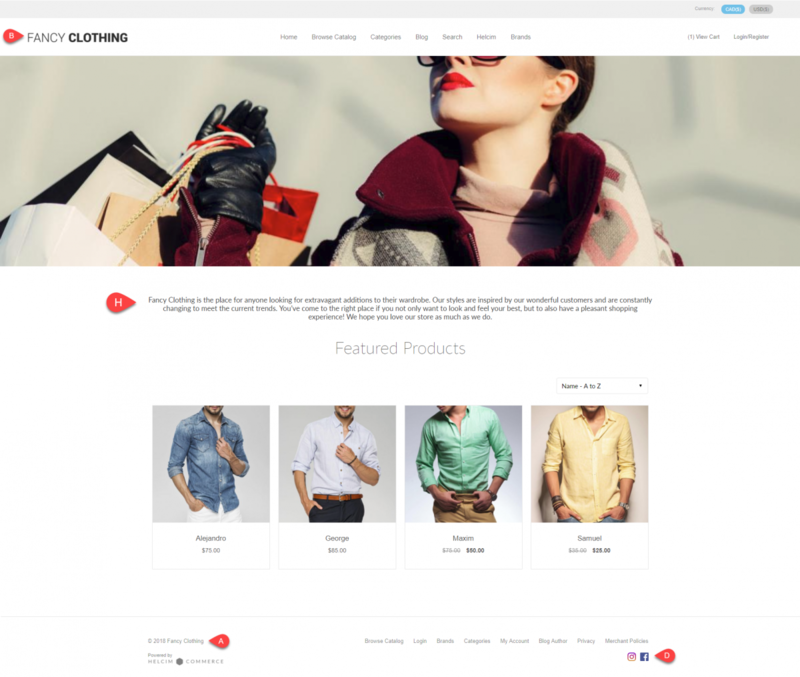 Online Store Description – This is the SEO Description. Its main purpose is to get the visitor from Google to click your link. Write a description of your online store here (up to 320 characters). Social Media – link your social media accounts through the corresponding fields. You only need to write your username, not the entire hyperlink. Analytics – Copy and paste your Google Analytics Code into this field. 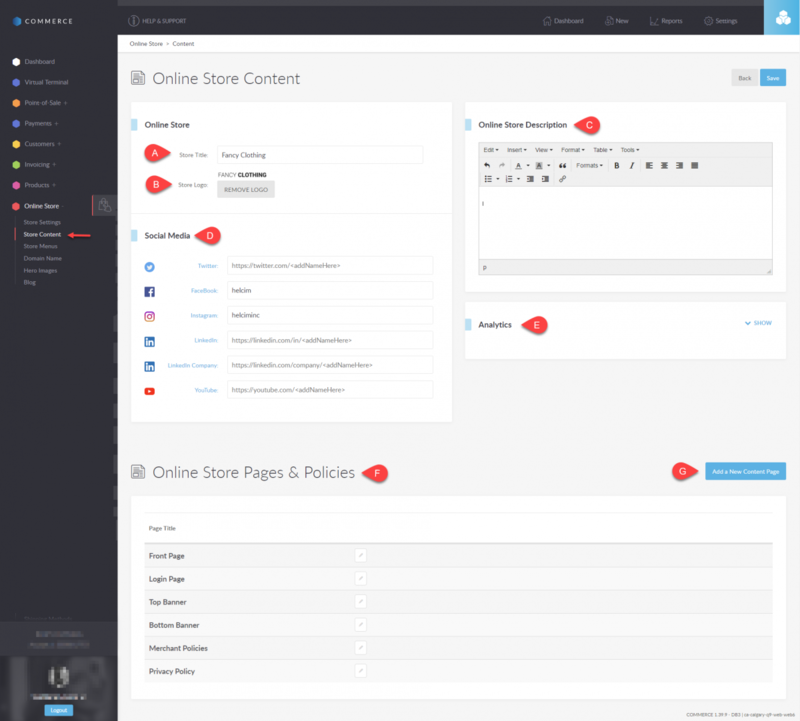 Online Store Pages & Policies – Clicking on each page title gives you the ability to edit its content (see H below). Page Content – The yellow bar at the top tells you where in the store the text entered in the box below will appear. Formatting of the text will be reflected on that page as well.